Hotel pick up and drops off. Escape the city lights and head to the desert for a romantic night of star gazing and Bedouin feasting on this deluxe private tour from Sharm el Sheikh. Star gazing in the desert is a must-do experience during your stay in Egypt. Away from the lights of the city, you'll see the heavens as they are meant to be seen. With the aid of your expert guide, you'll enjoy the moody atmosphere of the desert as you observe the planets and stars through a telescope. Such a clear, uninterrupted view of the heavens is a rarity, away from the light pollution of modern-day cities. 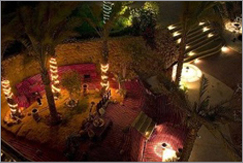 After your amazing star-gazing experience, sample Bedouin tea and indulge in an authentic Bedouin dinner, including the unique Bedouin bread. Hit the water at Sinai's famous Ras Mohamed National Park, where an abundance of underwater life is waiting to be discovered. Spend the day snorkeling, swimming or just relaxing on the sun deck the choice is up to you. Take a jeep safari, snorkel the Blue Hole, ride a camel and go bargain shopping in Dahab on a private day trip from Sharm el Sheikh. 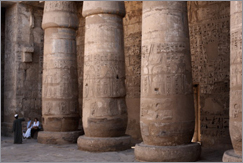 If your time in Egypt is limited, this is the relaxing day tour you are looking for! 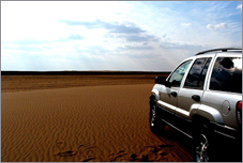 You'll travel across the desert, dive the Red Sea and visit a typical Bedouin village. Please note the order of the activities is subject to change as required by local conditions. All transfers by Jeep 4x4. 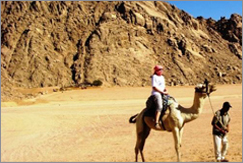 On this sunrise tour you will watch the sun rise over the Sinai Mountains, and retrace the footsteps of Moses when he climbed Mt. Sinai to receive the 10 Commandments. Note that the descent is not too steep, but there are around 500 steps at the very summit. On your journey back down the mountain you will stop at St. Catherine's Monastery, built between 527 and 565 A.D. 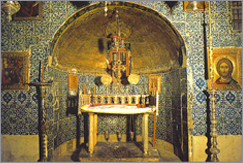 The monastery is believed to have been built around the site of Moses' Burning Bush. During your visit you will visit the chapel of a Greek Orthodox church to see famous icons and the Mosaic of Transfiguration. Please note: St. Catherine's Monastery is approximately 142 miles ( 230 kilometers) from Sharm el Sheikh. 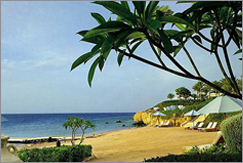 No need to get in the water to enjoy the spectacular coral reefs of the Red Sea near Sharm el-Sheikh. 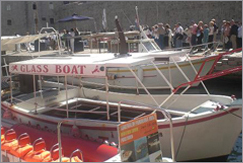 Board a glass bottom boat to see the underwater world while staying dry. 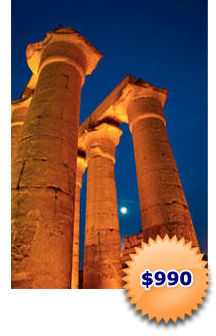 Cruise from Naama Bay to the Near Garden and Far Garden, passing over the top of beautiful Red Sea coral reefs. 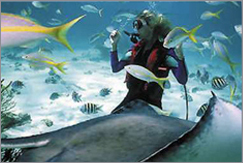 Enjoy the views from the glass bottom boat as you see the underwater world without getting wet. Your English speaking guide will be on hand providing commentary and to answer any questions you may have. Can you truly say you have been to Egypt if you haven't ridden a camel?!? Find out for yourself on an afternoon Camel Safari through the desert, and finish the day with an authentic taste of Bedouin tea. You also have the option of dining on a Bedouin dinner including the unique bread. Whether this is your first, second or twentieth time riding a camel, it is sure to be an experience not easily forgotten. The one humped Dromedary Camel is an animal well adapted to the harsh Egyptian deserts and will be a trusty vehicle on your safari, though maybe not the most comfortable! After your camel ride (approximately 1 hour) you can sample Bedouin tea with Habak, and you have the option to indulge in an authentic Bedouin dinner, including the unique Bedouin bread.